This in-town home offers plenty of space and comfort. 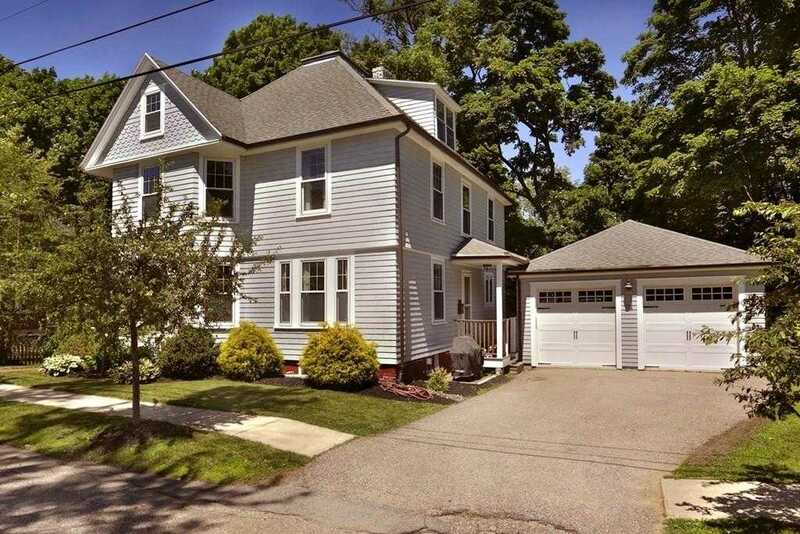 Located in the sought after Highlands neighborhood, it is situated within close proximity to all schools and Amesbury’s historic downtown. Exceptional layout for entertaining with open concept cooking and dining. The first floor includes living room and den. Finally, a large 3 season porch to enjoy coffee or your favorite beverage while taking in the outdoors finishes off the first floor. Generous sized 4 bedrooms on the 2 nd floor and Master with en suite. A soaking tub, allows for relaxation at the end of a busy day. The 3 rd floor offers space for sleeping, work and/ or play. This area has a cool treehouse reading nook, and office space that allows for privacy. A walk out basement with plenty of space for a workshop, home gym or anything you can imagine. Updates to this well maintained home include new garage, siding, windows, furnace, electrical panel with generator hook up, and tankless water heater. This is a must see!